If you are deciding whether to use concrete paver stones for a home or business project or just to pour a concrete slab, there are some pros and cons that are very important to take into consideration. 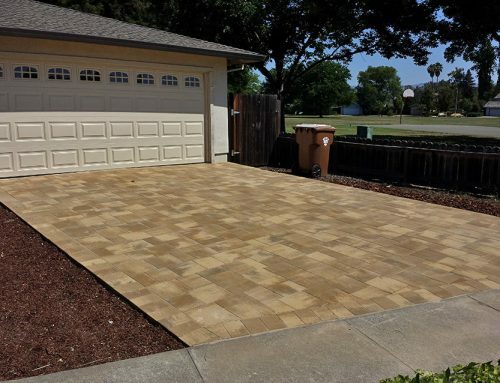 It is cheaper up front to pour a concrete slab, but after you factor in all the benefits of concrete pavers it becomes clear that concrete pavers are a much better investment in the long run. 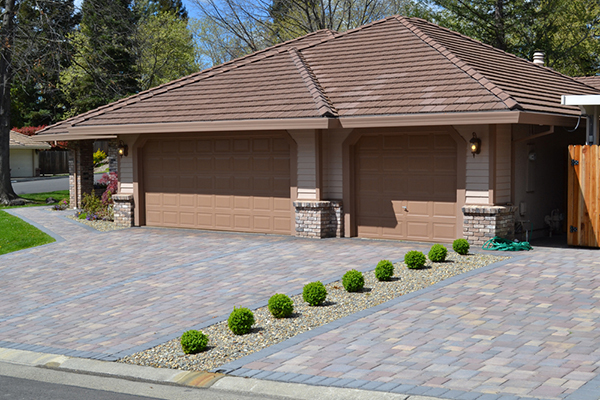 A concrete or asphalt slab has basically one design: flat. 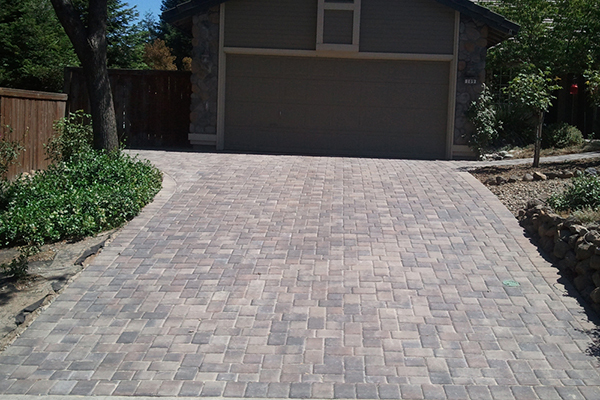 You pour the concrete or have it poured, and you end up with a smooth, white surface. 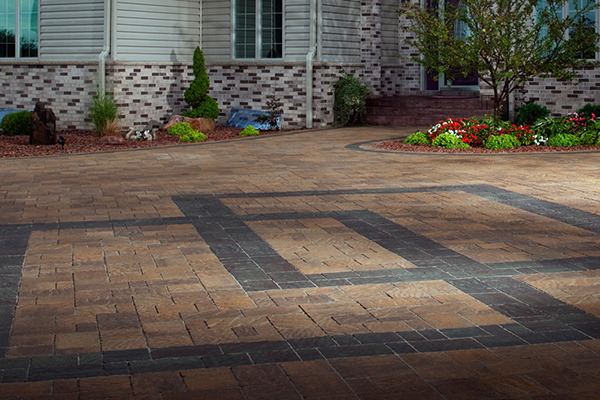 You can choose stamped concrete for a higher price, of course, and that will give you a lot of design choices. 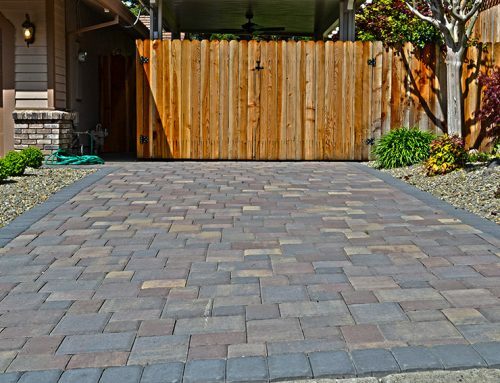 But concrete pavers give you a huge amount of design options that are not even available with stamped concrete, while also giving you all the design options you could have gotten with stamped concrete. 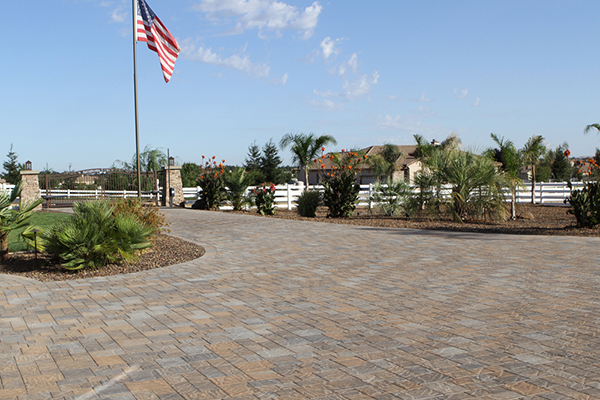 Therefore concrete pavers give you more versatility and better designs to choose from. Concrete cracks and breaks. It just does. 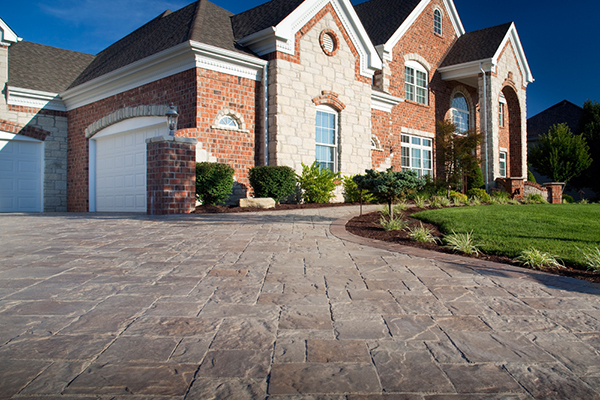 When the ground shifts underneath the concrete, it will get weak spots where cracks will eventually start to form. 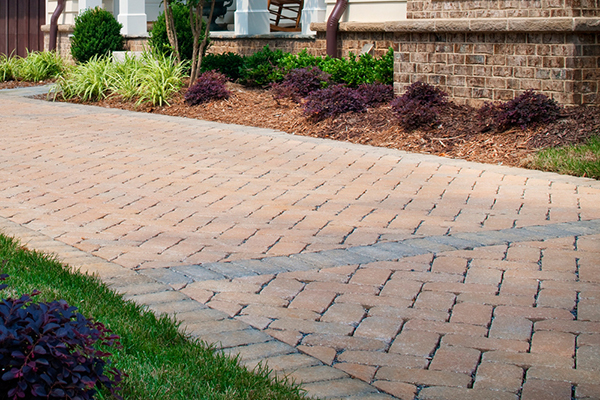 When it freezes, any water that is on or in the concrete will expand, causing tiny cracks. Then , the next time it freezes, those tiny cracks will turn into bigger cracks and the cycle will continue. 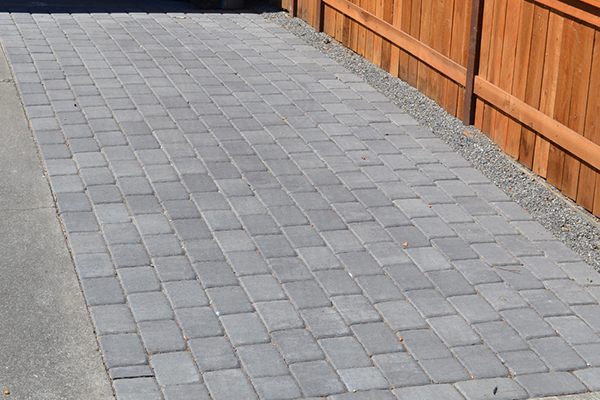 The only way to fix broken or cracked concrete is to patch it (which only delays the inevitable) or to take a jackhammer to the concrete, remove it all, and pour a new slab. 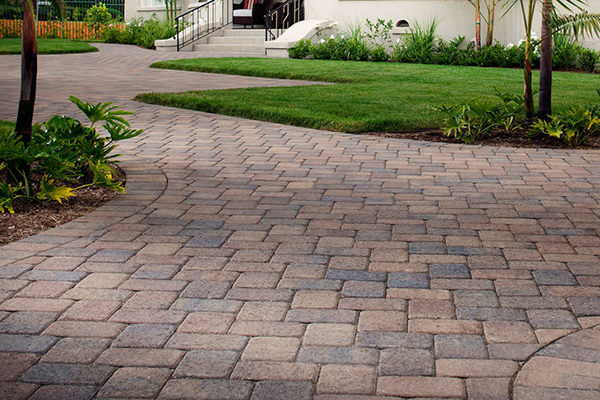 Concrete pavers do not crack and break if the ground shifts underneath them. They simply shift with the ground. 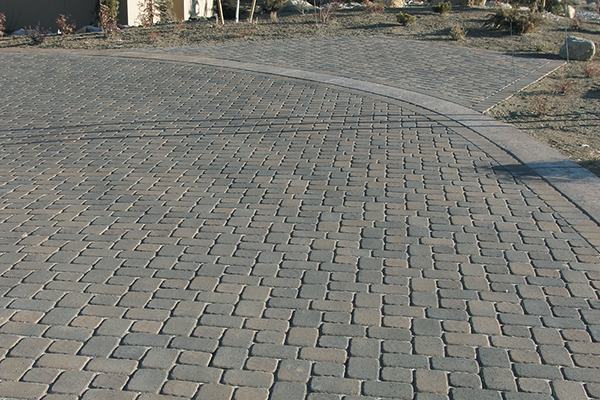 If it freezes, concrete pavers are not affected because they are able to move slightly to accommodate the expanding water. 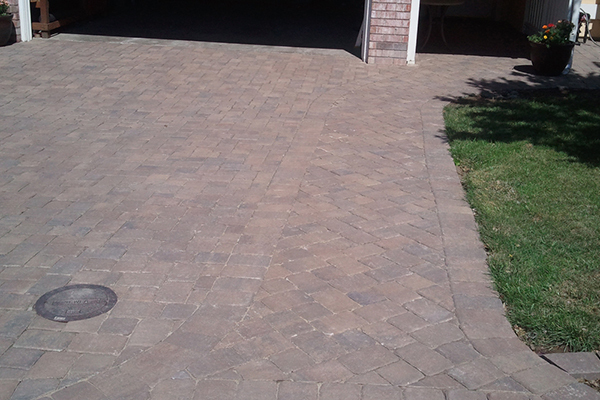 And if a concrete paver does break, you can easily remove it and replace it with a new one. 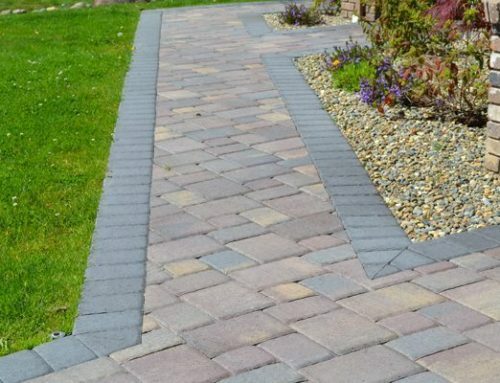 Factory made concrete pavers are uniform in appearance, which means that you won’t even be able to tell which paver is new and which ones are old. 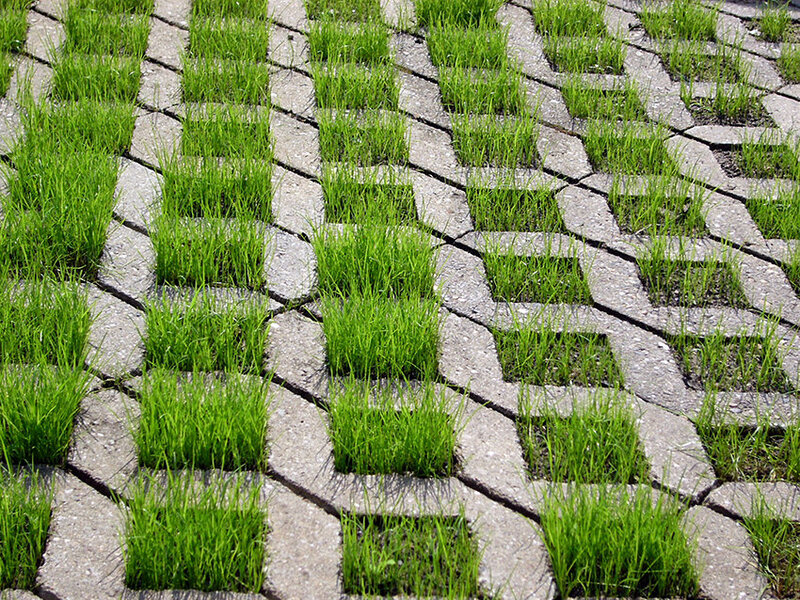 There are two ways to make repairs to conventional concrete and asphalt. You can patch it, or you can completely replace it. Patching it is like putting a bandaid on the problem. The underlying problem still exists, you just smoothed over the top. Replacing it is, of course, incredibly exptime-consuminge consuming. 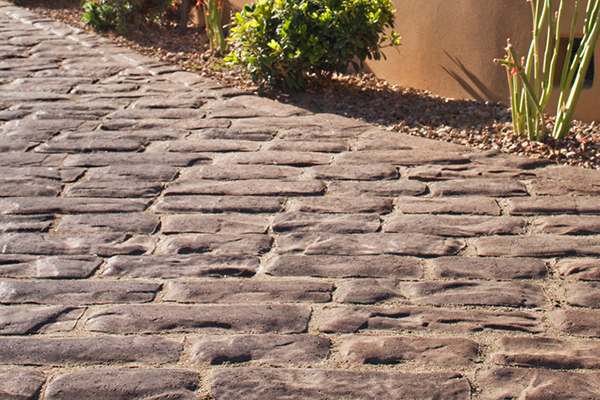 This is why it is so common, especially in rural areas, to see streets that are more patch than original concrete. 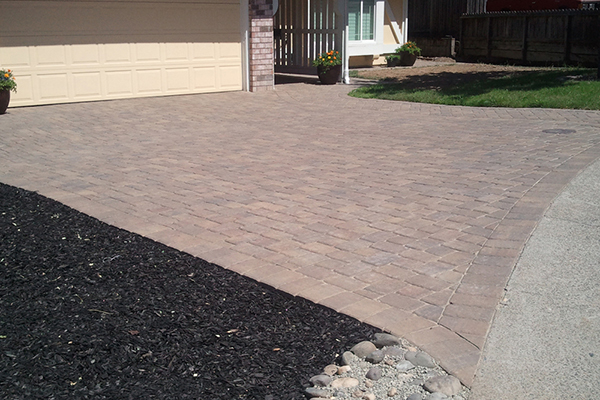 With concrete pavers, you can make repairs easily. 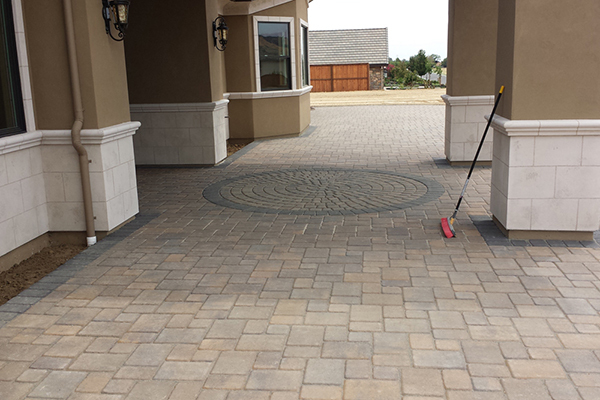 All you have to do is remove the offending paver or pavers and replace them. 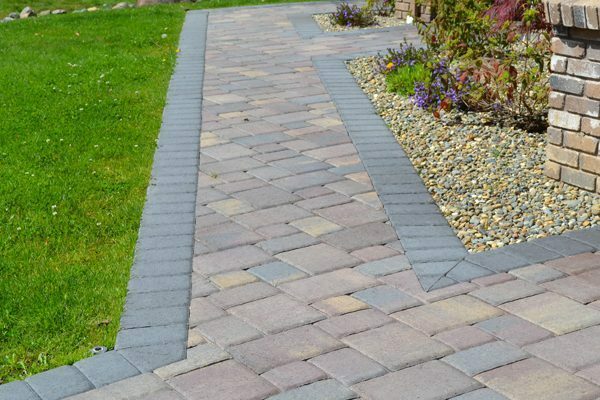 If your pavers have started to shift because the ground or gravel beneath them has moved, it is really easy to fix the problem. 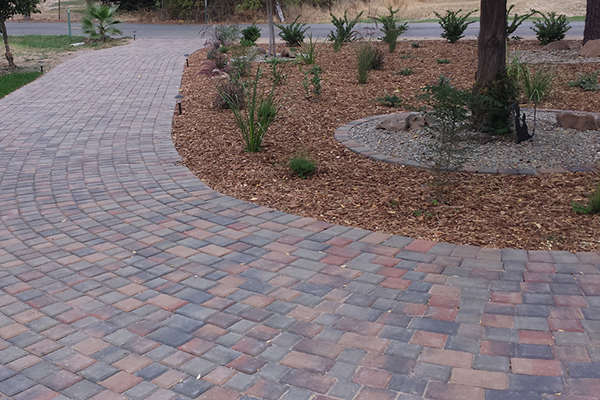 Just remove the pavers that have shifted, fix the gravel underneath, and replace the pavers. 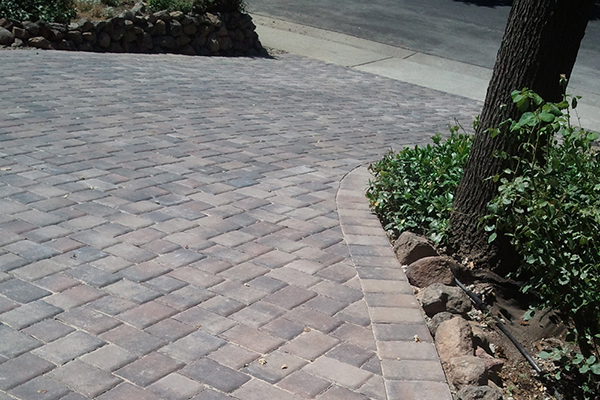 If a paver breaks, you can replace that single paver without having to disturb any of the others. 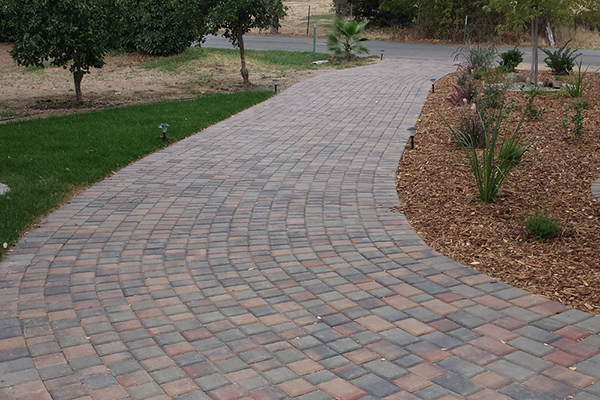 If a paver gets stained and you want a pristine and stain-free paved area, you can replace it as well. The ability to make repairs means that if you need to change any integral parts of the design, you are able to do this as well. 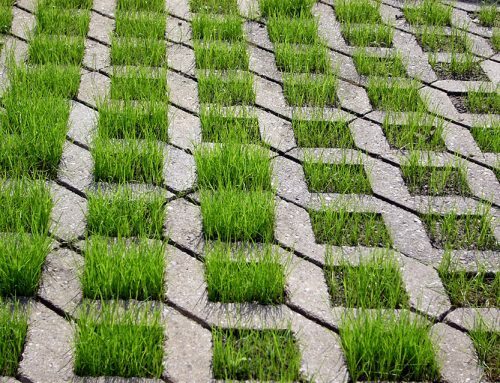 For example, you may lay your pavement and then discover that it is directly on an area that gets runoff water and has a tendency to puddle. The solution is easy. 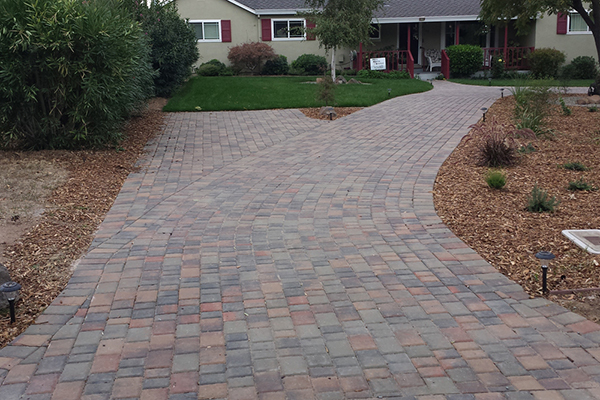 Pull up your pavers, put a French drain under the gravel base, and replace it all. Without having to pour a new slab of concrete you were able to repair a design flaw that otherwise would have kept you from enjoying your patio, walkway, driveway, or other paved area. 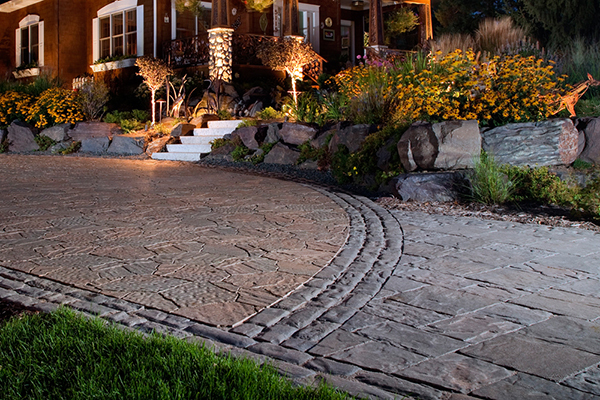 Concrete pavers come in a wide variety of shapes, sizes, textures, colors, and designs. 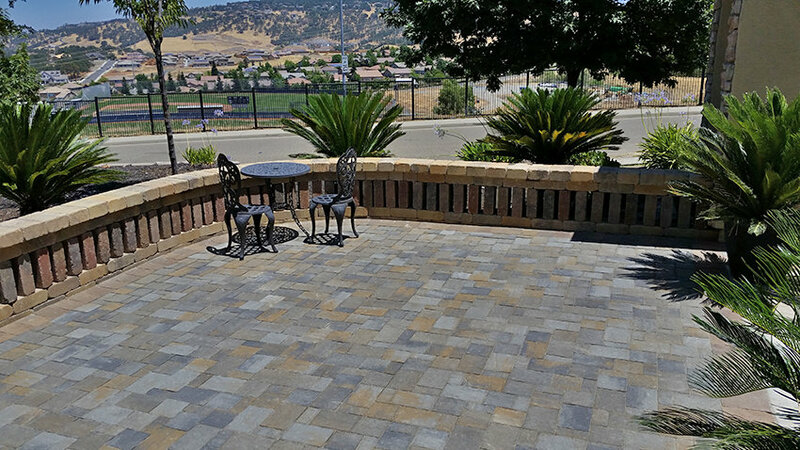 No matter what kind of look you are going for at your home, business, or project, you can achieve it with concrete pavers. 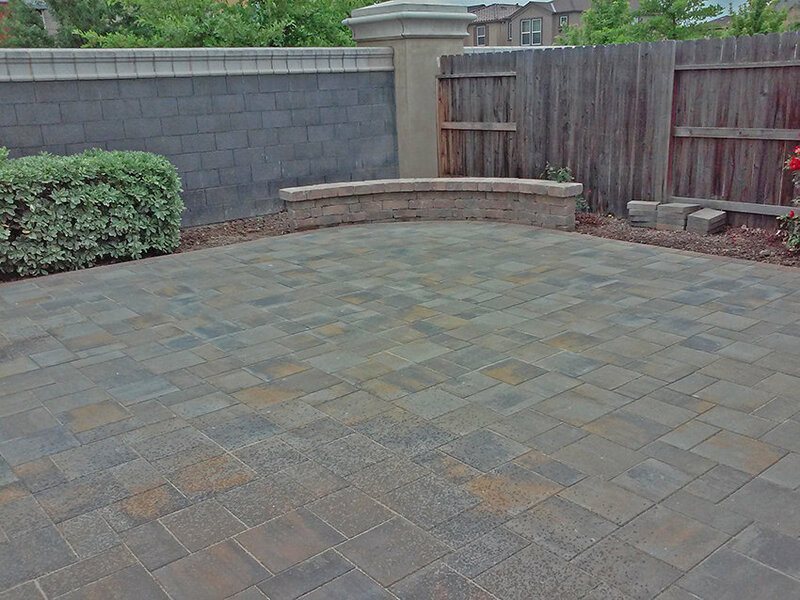 At The Paver Company, we have concrete pavers that give a charming rustic look to any back yard, concrete pavers that give a sophisticated, cosmopolitan look to any business, and concrete pavers that look like marble stones when you need something that looks absolutely elite. 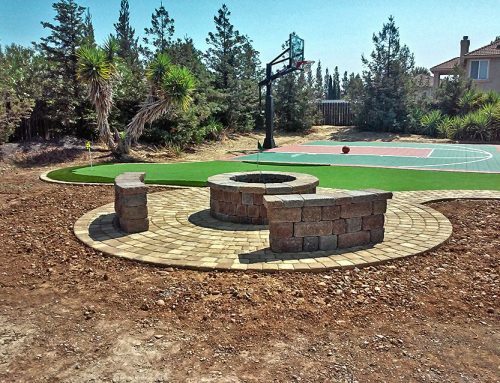 Whatever look you are trying to achieve, you can do it with concrete pavers from The Paver Company. 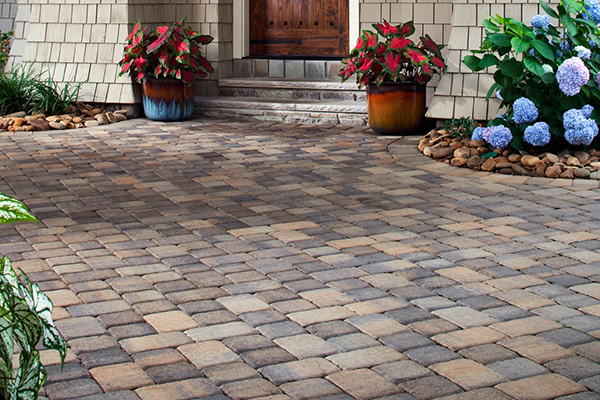 If you want to install your concrete pavers yourself, you can do it. The process is simple, if labor intensive. 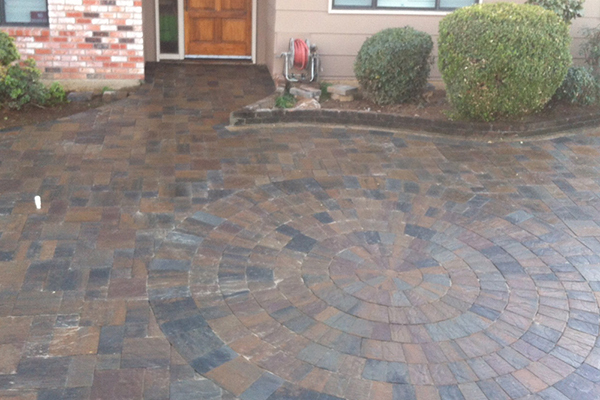 You will prepare your area by smoothing it and creating a flat surface. 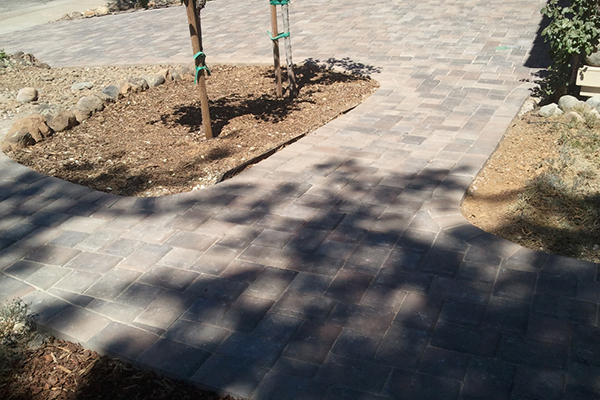 Then you will bring in some gravel and make a firm, solid, well compacted base for your pavers to sit on. 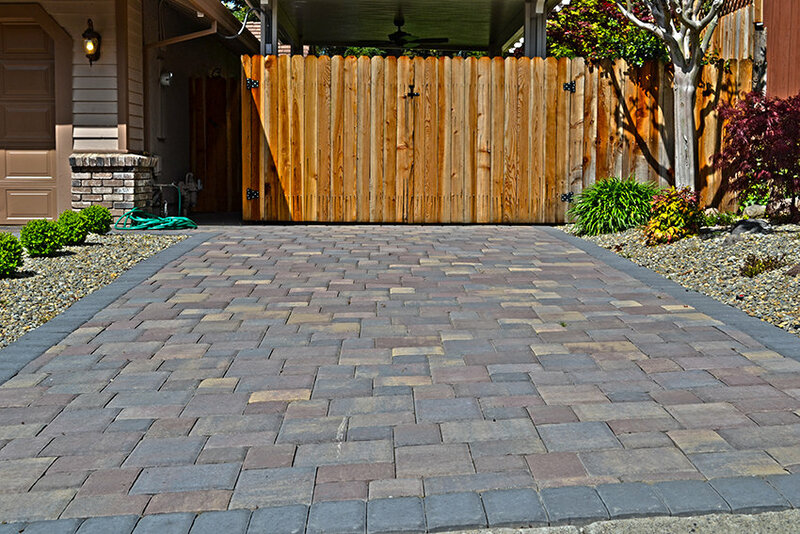 Finally, you will lay your pavers on top, fit them together snugly, and compact them into the gravel for a perfectly solid paver surface. 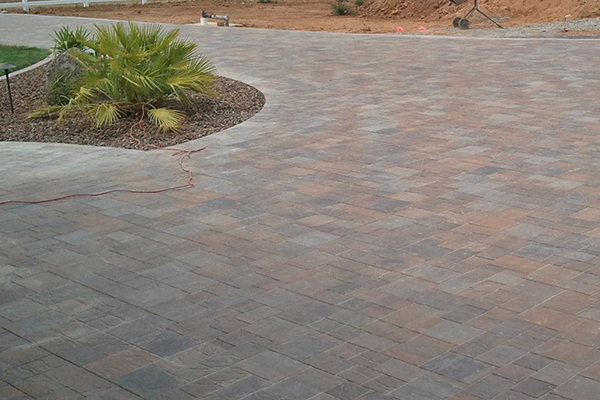 You can also have us install your concrete pavers for you, here at The Paver Company. 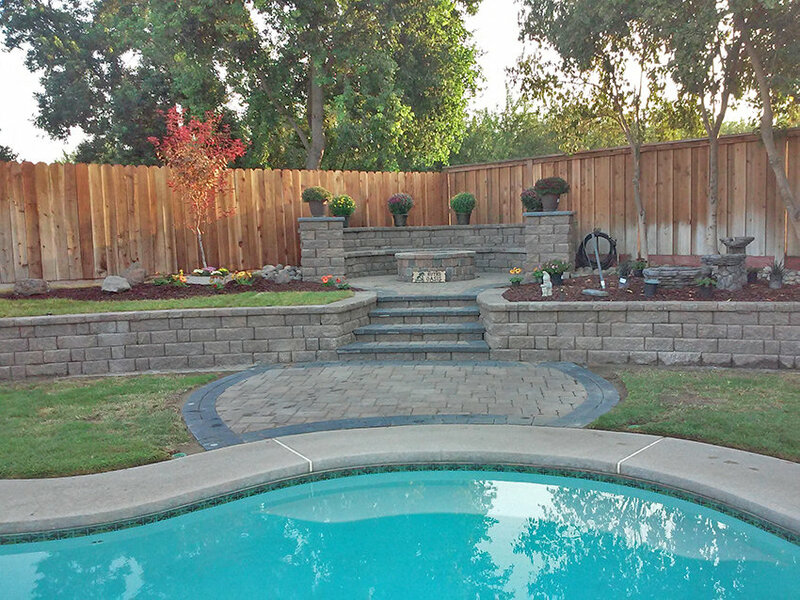 Our installation experts will be more than happy to come out and make sure that your concrete paver installation is done right for you. 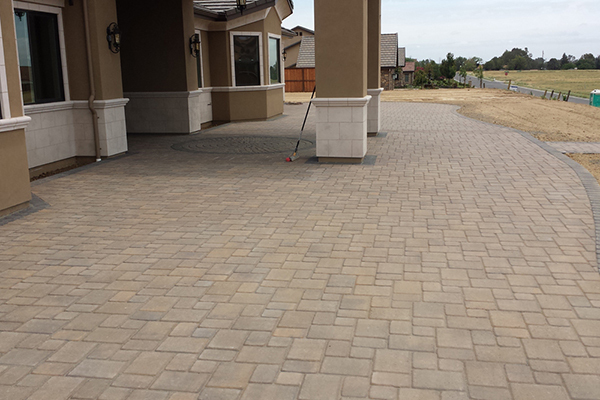 When we install your concrete pavers, we are able to offer our satisfaction guarantee on installation quality. Snow is terrible for pavement. The process of freezing and melting causes massive cracks to form. If they are left untreated and un repaired, these cracks will turn into potholes. 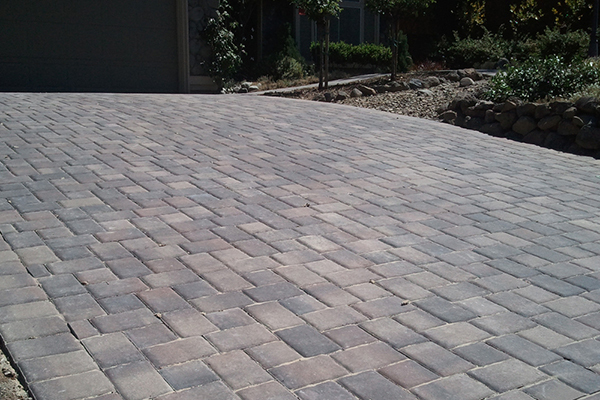 Concrete pavers from The Paver Company are snow resistant. They are guaranteed not to crack during freeze thaw cycles. Their surface will not be damaged by snow or even by the salt you put down to melt the snow. 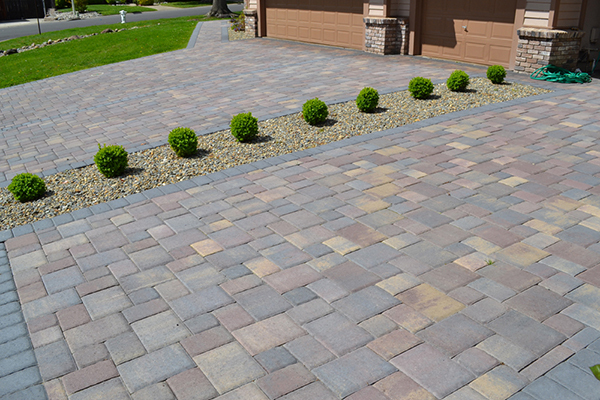 And if you choose dark colored concrete paver stones, the heat they absorb from the sun will help to melt the snow off of them. Small, dense units are far more durable than large, uniform units. 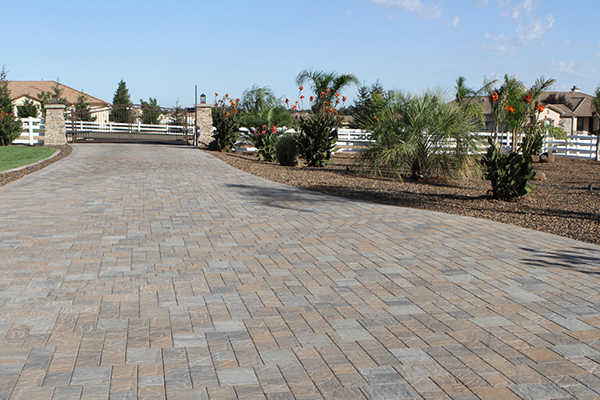 With concrete pavers, the fact that the pavers are individual units means that any stress they experience is simply dissipated when they shift against each other. In contrast, concrete slabs have no way to dissipate stress except by breaking. 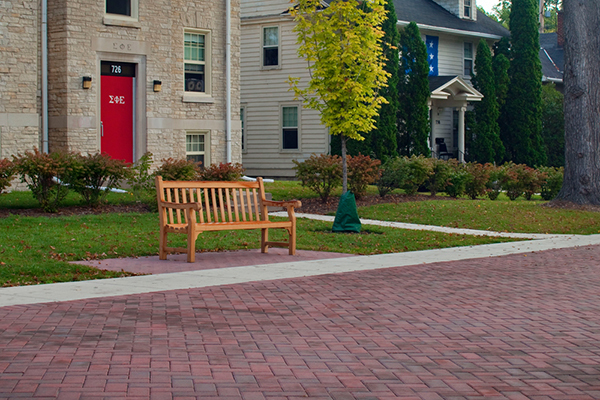 The fact is that your pavement will experience some stress at some point. The ground will shift, there will be an earthquake, rain water will erode the ground away under the concrete, or something else will happen to put stress on the pavement. 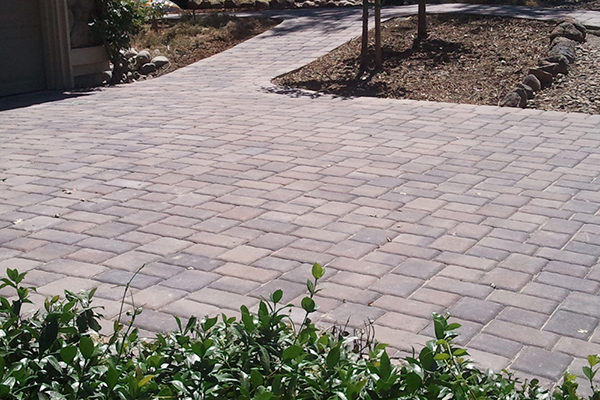 With concrete pavers, the paved area is resilient against these sorts of stresses. It takes a lot more stress and pressure to make it show any damage. 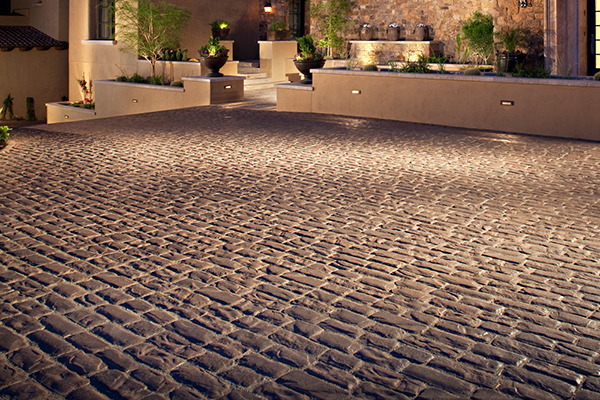 And if it does show damage, it is easy to replace a damaged stone with a new one. 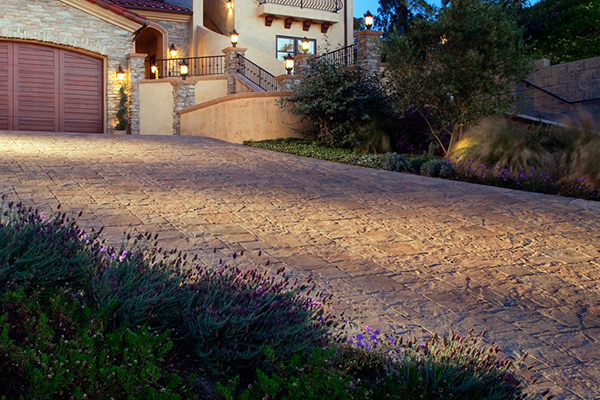 Concrete pavers are a higher initial investment than pouring a concrete slab. 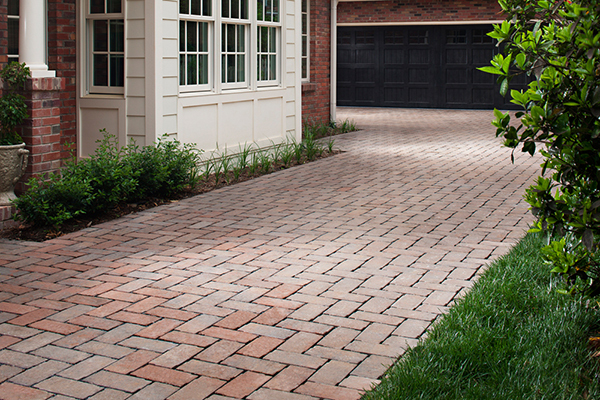 But over the lifecycle of the paved areas, the concrete pavers will pay for themselves over and over again simply by being easy to maintain, easy to repair, and resistant to damage. Besides, they look better. What’s not to love? 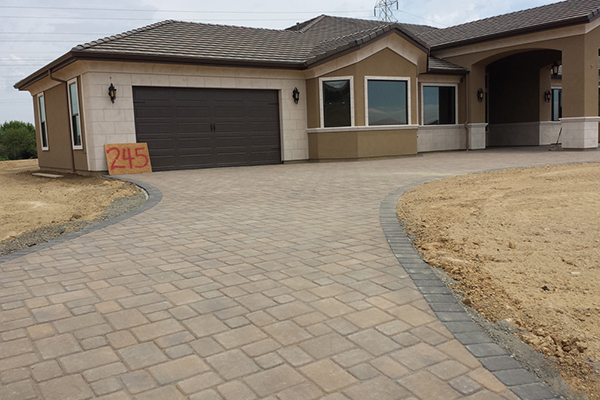 Call The Paver Company today for a free estimate on your concrete paver stone project.